With Cyara, complex test scenarios can be performed by placing simulated phone calls, emails, web, chat, and SMS interactions into a customer’s environment, where they appear to be “live” customer interactions. Agents can also be simulated, adding to the depth and breadth of the testing process. Cyara allows the volume and complexity of these transactions to be increased, which highlights issues that negatively affect the customer experience. Through connecting design to assurance, the Cyara Platform also accelerates CX development and ensures quality. Most organisations have some degree of capability and governance when it comes to testing of systems, applications and integrations within their IT system environment. But inevitably these focus on the technology platform components. Equally, many organisations are undergoing digital transformation initiatives to deliver applications and platforms that embrace mobile and digital channels increasingly demanded by customers and the business. This creates real challenges for businesses trying to create efficient and complete testing regimes in this broad environment. What is often missing is a focus on testing the “customer outcome” – which is why you are transforming in the first place. Cyara revolutionises the approach to testing and complements your testing practice. Cyara is offered as a cloud based platform – enabling you to test certain parts of the platform or one-off initiatives before committing to an expanded test regime, or it can be deployed as a premise based platform. Circle Consulting & Software has over 20 years’ experience designing, building and supporting complex Contact Centre environments so we understand the importance of a well-designed and executed test strategy. In our experience the piece in this puzzle that has been missing is having the ability to truly understand the customer experience that is delivered once these solutions are deployed into production. Being able to bridge this gap is one of the key reasons we chose to partner with Cyara, in order to complement the solutions we deliver and give a customer focussed view. We have deployed Cyara for a large government department and are a Cyara certified reseller and services partner, with New Zealand’s only certified Cyara Architect in our team so we can help bridge the gap between the technology and customer aspects of your testing. The Cyara Platform generates real-world inbound traffic for a Contact Centre, placing interactions from the phone (IVR), web, web chat, SMS, email or other channels, as though they were from a unique customer with a unique customer journey. Cyara works across the software development lifecycle to assure quality with functional and regression testing, performance and load testing and ongoing monitoring of your customer contact systems. Circle has partnered with Cyara and built our real-time Guardian CX monitoring and reporting service on Cyara’s Pulse product. Guardian provides automated independent assurance that CX solutions are performing optimally and reliably and alerts companies if their customers are impacted by any degradation in service. 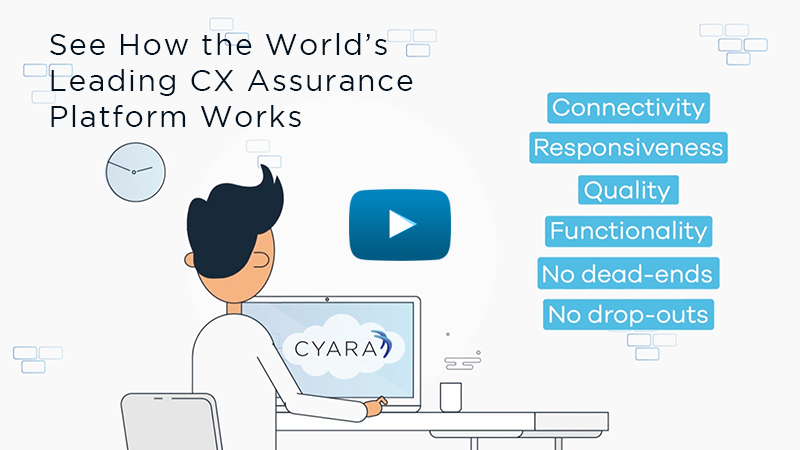 Using Cyara, Circle can support the broadest CX assurance needs design from functional and regression testing to performance testing and production monitoring. See Test Across All Levels of Your Architecture. Using automated discovery of your current CX journeys and automated test script creation and maintenance, scripts can be quickly and effectively generated and put to use for testing and monitoring. Cyara offers an intuitive interface for building test scripts – no coding is required. Test scripts are shareable and reusable. Comprehensively test and assure all customer journeys are working reliably and correctly from self-service through to agent-assisted service including the agent desktop experience. 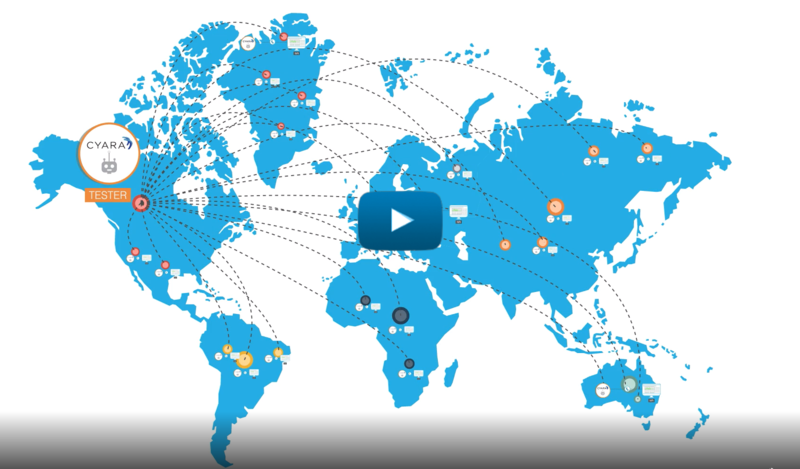 Make synthetic local calls from countries across the globe to identify voice quality issues, test carrier connectivity, and toll-free number routing. Take a look at the following video and read more. Assure all customer journeys using voice and digital channels, including IVRs, agent routing, web, chat, chatbots, SMS and email, and journeys that span and hop multiple channels are working correctly and reliably. Read more. Simulate real-world customer interactions to assure journeys as your customers would experience them.